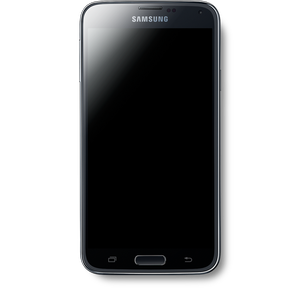 The Samsung Galaxy S 5 is the successor to the popular Galaxy S 4. The 5.1" Super AMOLED display has a resolution of 1080x1920. The Galaxy S 5 is powered by a 2.5 GHz Qualcomm Snapdragon 801 processor with 2GB RAM. Internal storage comes in at either 16GB or 32GB, with a microSD slot up to 128GB. The 16MP camera is capable of 4K video recording and real time HDR photos. Along side the camera flash is a heart rate sensor, which can be used with Samsung's S Health software. The S 5 has a 2800mAh battery providing power.